The Downtown Summerlin shopping center is an outdoor shopping, dining, and entertainment district. It is a part of the greater Downtown Summerlin development, which lies within the affluent community of Summerlin, a suburban neighborhood on the western outskirts of Las Vegas, Nevada. 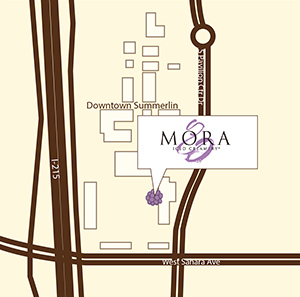 Your Mora Ice Cream experience will be your finest.